Cognac, malt whiskey, corn whiskey, tequila: all were once made by hand, distilled by craftsmen using artisanal methods on small pot stills. These craft methods were what made these spirits wonderful. It’s all mostly gone, except for a few holdouts… and a few regions that have not undergone the fatal shift to industrial production methods. 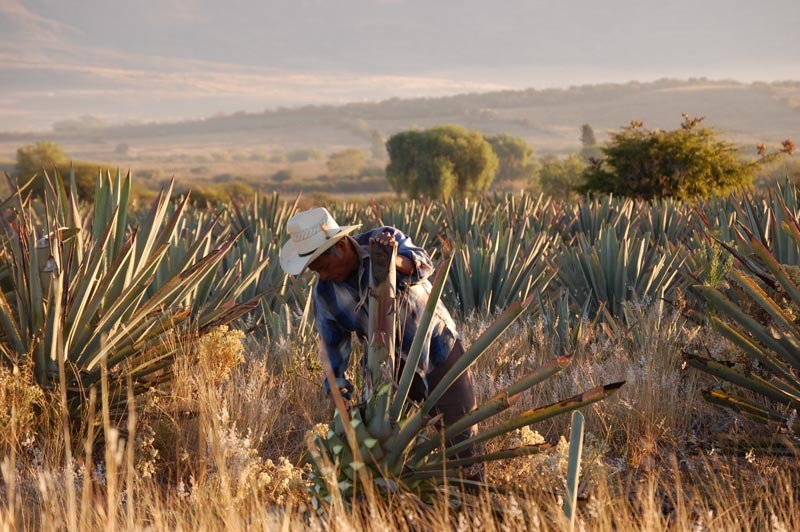 Mezcal is distilled from the agave plant. The harvester trims the spines from the core (the piña) of the agave. 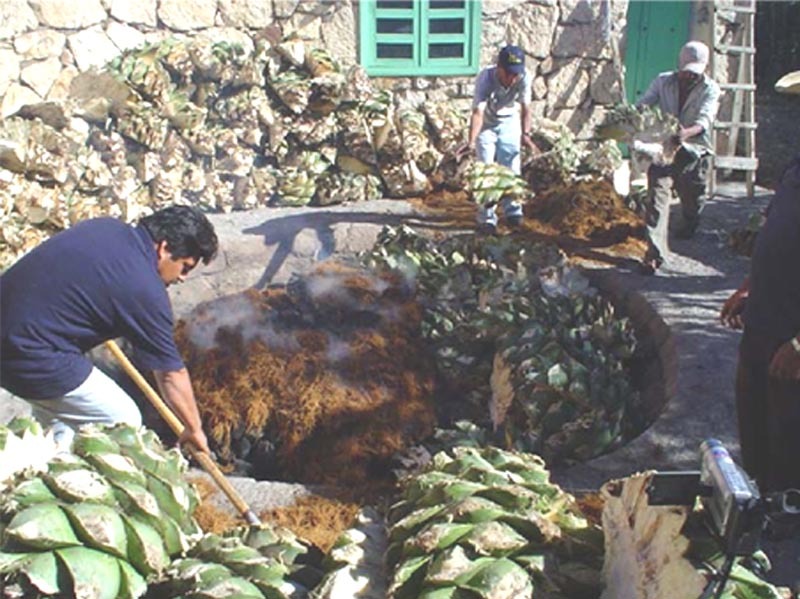 The agaves are roasted over a wood fire built in a stone-lined pit called a horno. Roasting converts the plant starches into sugars. 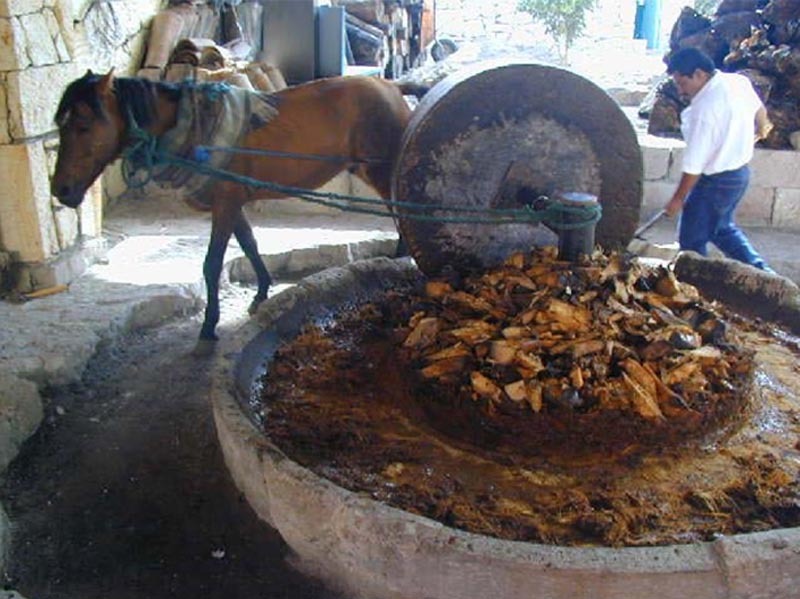 To release the juice for fermentation, the roasted agaves are crushed by a stone mill (or by hand, using mallets and a hollowed-out log). 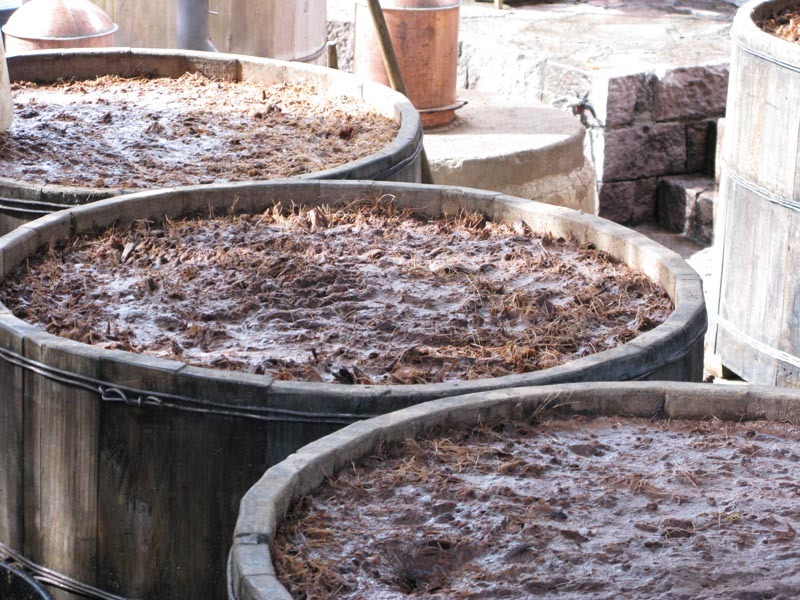 The crushed fibers and the liquids are fermented in a wood tank. Wild yeasts convert the sugars into alcohol. 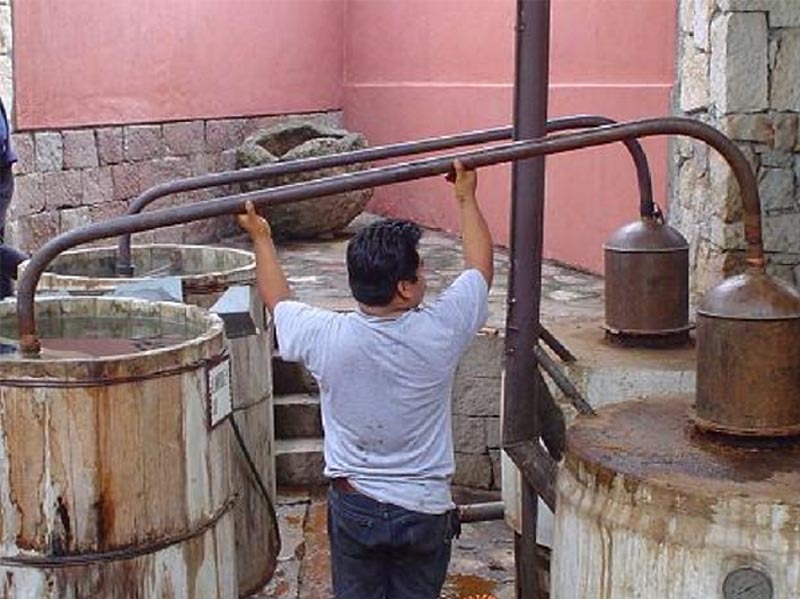 The fermented liquid, along with the fibers, is double-distilled into mezcal using small copper or clay potstills. 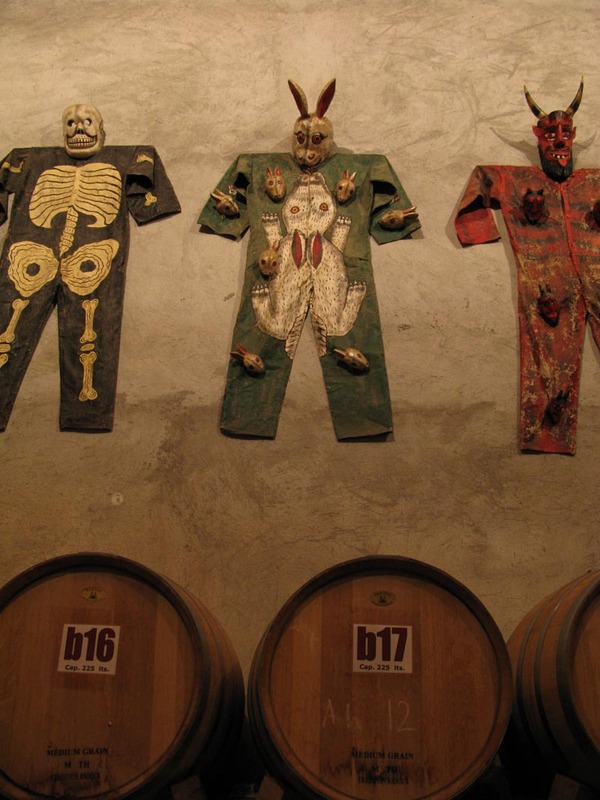 Rabbit costumes & masks on the wall of the Los Danzantes aging cellar.